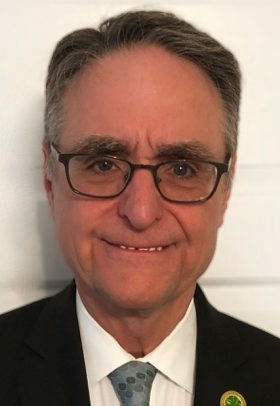 Princeton Councilman Tim Quinn has announced his campaign priorities and his re-election committee in his bid for a second term on Princeton Council. He will face a slate of fellow Democrats in the June primary, which will be followed by the general election in November. Two Council seats are open with both Quinn’s and Jenny Crumiller’s terms ending, and Crumiller having announced that she will not run for another term. Other Democrats in the race so far include Michele Pirone Lambros and Adam Bierman, who announced their candidacies last month. The Princeton Community Democratic Organization (PCDO) will endorse two candidates at its meeting on March 17. On Sunday, February 10 at 3 p.m., the PCDO is holding a Princeton Council Candidate open house information session for Democrats interested in running for Council or getting involved in helping candidates get elected. Princeton Republican Committee Chair Dudley Sipprelle reported that there are no declared Republican candidates yet, but there are a couple of prospects in the “exploratory” stage. Quinn, who is the new Princeton Fire Commissioner and serves on the Economic Development, Finance, Public Safety, Public Works, and Legal committees, said he wanted to continue his work on affordability, equity, and sustainability. He has served on the Princeton Planning Board since 2014. He stated that his input on the Princeton Neighborhood Character Initiative led to significant zoning law changes designed to protect neighborhoods from the proliferation of out-of-scale construction. As Council’s liaison to the Princeton Public Schools, Quinn will lead a joint study of potential shared services between the town and the schools. He also served as Council liaison to the Civil Rights Commission, the Environmental Commission, the Citizens Finance Advisory Committee, and the Bike Advisory Committee. Quinn’s re-election team will be led by former Princeton Councilman Lance Liverman and former Princeton Board of Education (BOE) President Andrea Spalla, with Helen Heintz as treasurer and other members including Molly Chrein, Nick DiDomizio, Amner Deleon, Heather Howard, Amy Mayer, Bert Navarrete, Julie Ramirez, Tomaz Rodrigues, Afsheen Shamsi, Fern and Larry Spruill, and Ross Wishnik. “I believe Princeton’s strength lies in its diversity, and I’m so pleased to be collaborating with a great team that reflects that diversity,” Quinn said. Prior to being elected to Council in 2016, Quinn served for nearly seven years on the BOE, including two years and eight months as president. He led the search that resulted in the hiring of Steve Cochrane as superintendent of schools. Quinn, the marketing and communications director of Princeton Public Library, moved to Princeton in 1990 and has lived on Wilton Street since 1994 with his wife Mary Chemris, who teaches math at Montgomery Upper Middle School. Their son George, a composer, lives and works in Princeton.